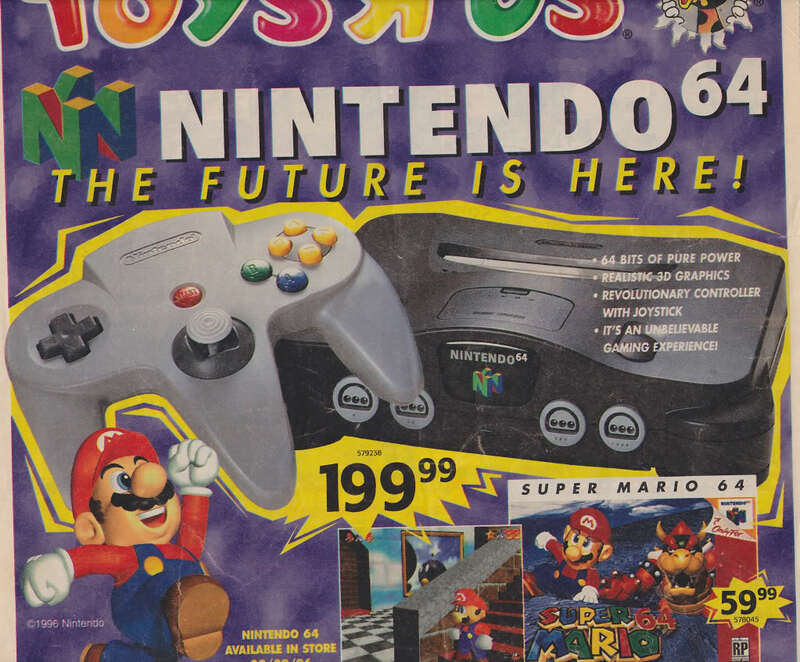 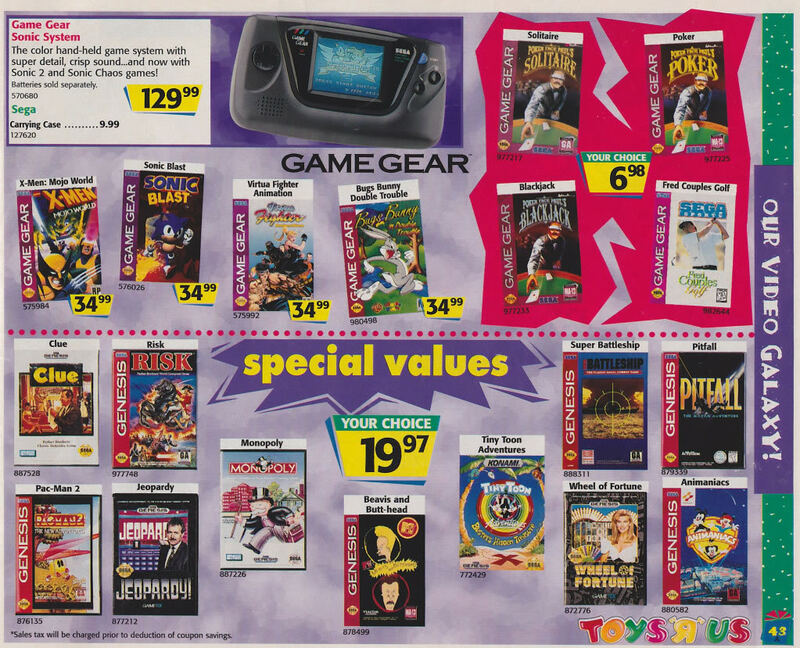 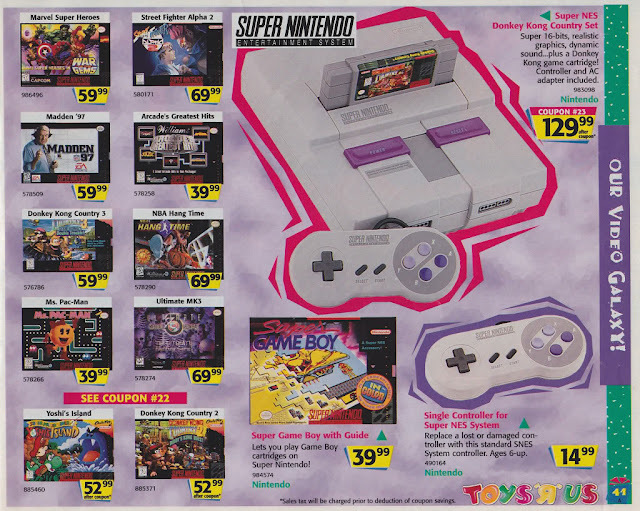 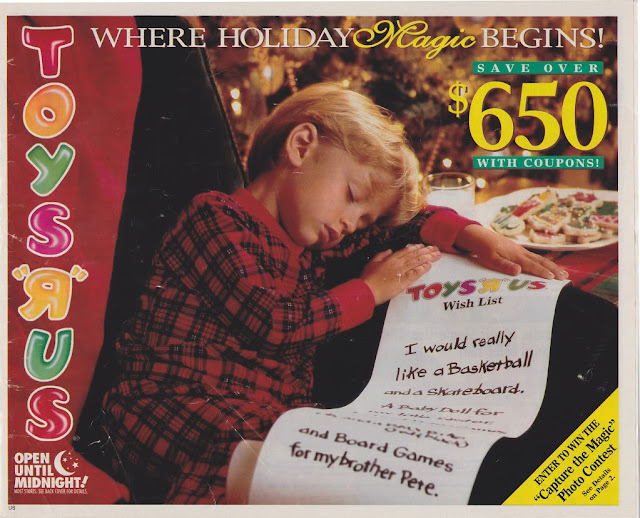 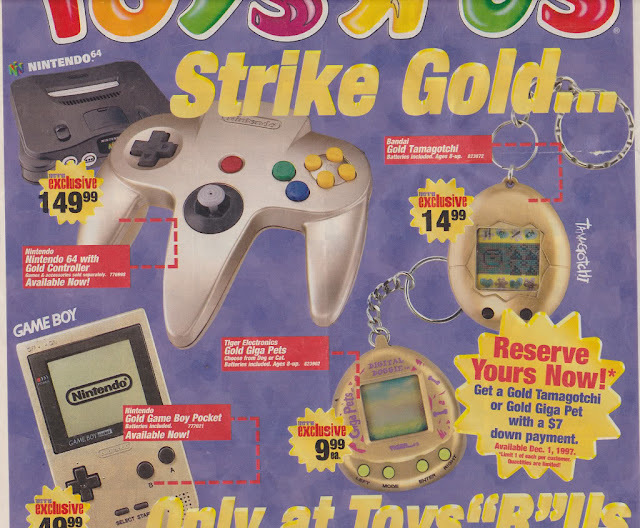 I've shown you a Best Buy ad from 1996 before, but now it's time to take a look at what all the kids were asking Santa for from the Toys R Us ad. 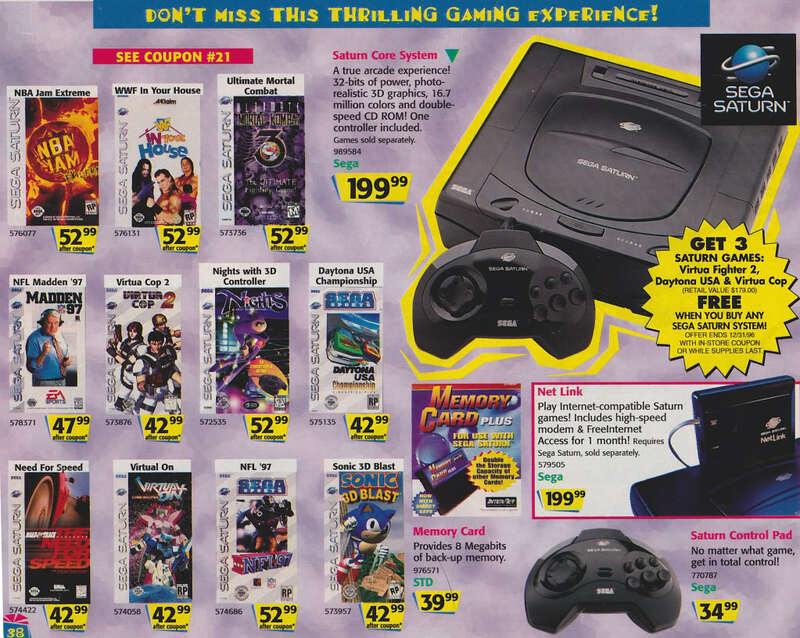 First of all... why in the world were there THAT MANY gaming systems?! Am I crazy for thinking that's a lot?! 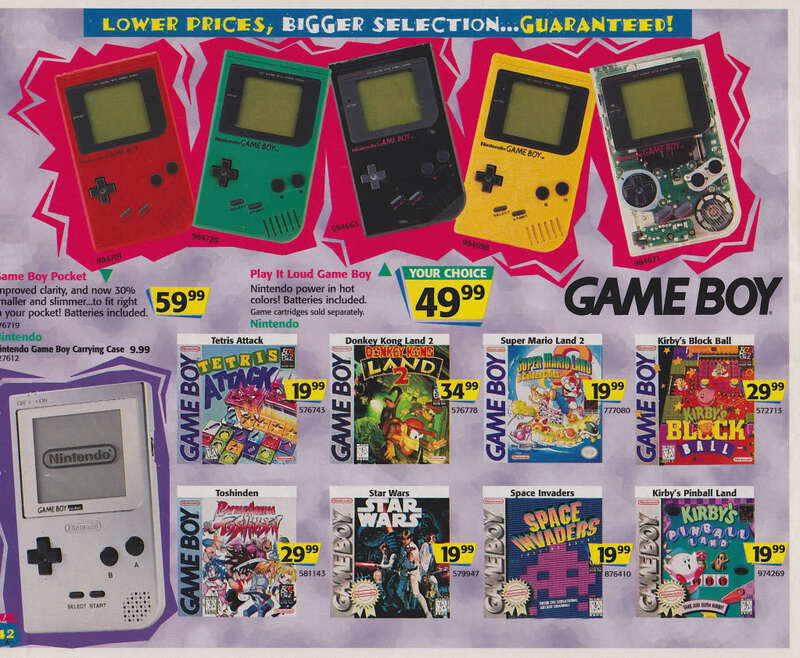 And no wonder my parents were so eager to get my brother and I Gameboys... 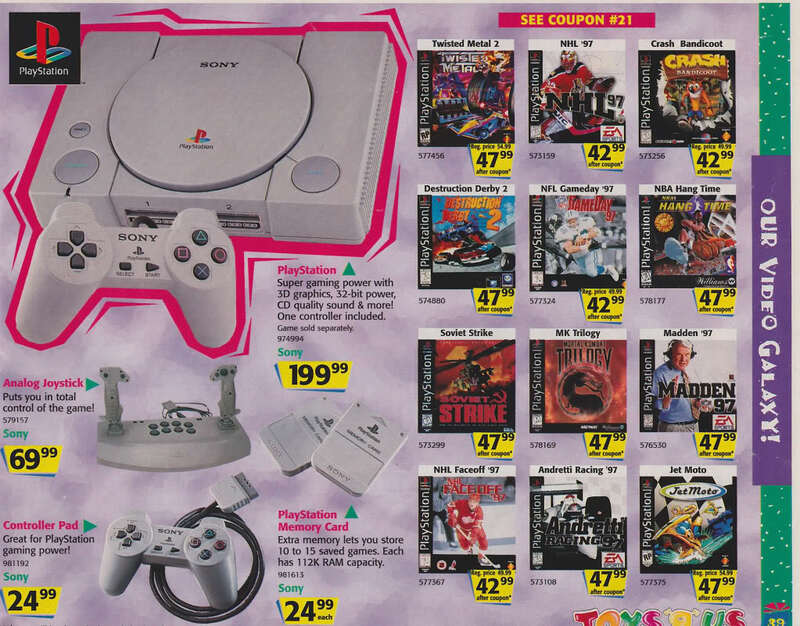 They were the cheapest option and we wouldn't fight over the games! 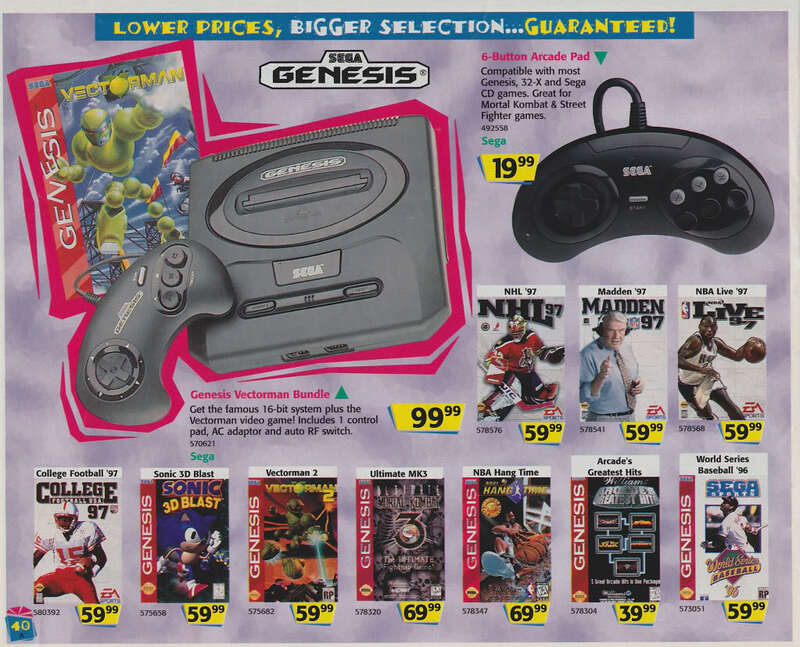 Another reason I love the 90s: It's the last time I could actually play video games and win at them. This whole double joystick thing is just too much.